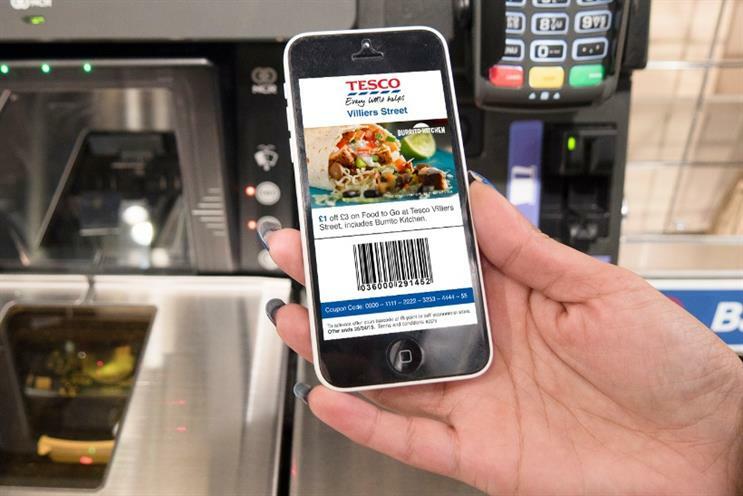 Tesco has been exploring how mobile might boost footfall and loyalty by sending coupons to consumers' smartphones as they walk past stores. The retailer has partnered with mobile marketing firm Weve to target commuters and tourists as they pass by its new concept store in Villiers Street in Central London. Tesco used Weve to identify a total of 40,000 shoppers who had either walked past the store six times over a two-week period, or else had walked in and out of Embankment tube station. The team then pushed out a coupon to these consumers’ smartphones, offering £1 off a £3 food-to-go shop. Shoppers could then redeem the coupon by scanning it with their food at a self-service till. The idea was to drive footfall to the concept store, which opened last month and offers "food to go" for shoppers in a hurry. Weve has not revealed numbers, but a spokeswoman told Marketing the trial had been its most successful with a supermarket partner to date. Tesco plans to launch the second phase of the trial in the coming months. A spokeswoman told Marketing: "We're always looking for ways to make it easier and simpler for our customers to shop with us. "That's why we trialled texting local customers with some money off coupons to introduce them to our new food to go store at Villiers Street. We're really looking forward to hearing their feedback." The Weve trial highlights a number of focus points for Tesco – the explosion of mobile, fragmented shopper loyalty, and the opportunities for greater insight from customer data. The supermarket is, for example, rolling out new scanners this year so that its systems can recognise a barcode displayed on a mobile screen, as opposed to on paper. That points to a greater focus on the immediacy of mobile commerce and location, which may make sense as shoppers increasingly pick up items on their way home, rather than during a "big weekly shop". Last month Tesco reported a £6.38bn loss, and chief executive Dave Lewis pointed to the rise of discounters Aldi and Lidl as a "cause for concern".